The Kahnawake Mohawk Territory is an Indian reserve of just over 8,000 in Quebec, Canada. One of the eight communities that make up the Mohawk Nation. The Kahnawake have conducted diplomacy with the French and British for centuries, fought against American forces during the War of 1812, and suffered through the indignities of the 1876 Indian Act. While their fortunes waned during most of the 19th and 20th centuries, the rise of the Internet and the popularity of online gambling provided the Kahnawake people with a unique opportunity for economic growth. The tribe has since transformed its land into the top hosting facility in North America, and their strong track record in this field now extends beyond the 15 year mark, lead by the Kahnawake Gaming Commission. Near the turn of the century at the annual Global iGaming Summit & Expo, a group of representatives from an Indian reserve outside of Montreal announced their intention to issue licenses to gambling operations. While some convention attendees were skeptical, others (including Bodog and Intertops) jumped at the opportunity to be part of a jurisdiction that offered lower licensing fees and more stable online connections. 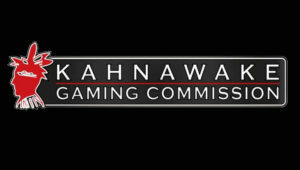 In 1999, the Kahnawake Gaming Commission (KGC) was formed, and one of their first acts was to approve the Regulations Concerning Interactive Gaming. From there, the jurisdiction enjoyed a number of successful years uninterrupted by major scandals. In 2007, however, the Kahnawake Gaming Commission had its first international gaming scandal. It was discovered that two client sites, Ultimate Bet and Absolute Poker, were cheating during lucrative poker tournaments. The jurisdiction took immediate action, launching an investigation that eventually resulted in more than $23 million being repaid to players. Severe sanctions were imposed against the guilty companies, and the URLs of these disgraced sites were later seized by agents of the FBI. Despite the scandal, all the other license holdings within the Kahnawake jurisdiction continued their operations without interruption. In 2008, the KGC performed an audit of their operations and implemented a number of improvements. This included additional staff for enhanced oversight, as well as a significant overhaul of their player dispute system. While this incident led to a temporarily tarnished reputation, the jurisdiction eventually started to see their number of applicants rise to previous levels. This was especially true in 2014, as companies tired of high fees and poor connection speeds in other jurisdictions. Client Provider Authorization – Issued to an entity who wishes to provide online gaming from an approved Kahnawake hosting facility. The holder of the license may offer any type of gaming they desire, including casino, sportsbook, and poker. Key Person License – This option is issued to someone who performs managerial or operational functions for a company that already holds a Client Provider Authorization license. Interactive Gaming License – Only one of these licenses may be issued at any time, and it must be awarded to an approved hosting facility located in the domain of the Kahnawake. Since the KGC started operations in 1999, the license has been held by Mohawk Internet Technologies. Inter-jurisdictional Authorization – This option is intended for any entity that already holds a license in another gaming jurisdiction. Once approval has been obtained, the recipient can locate personnel or equipment to the Mohawk Territory of Kahnawake. The original licensing jurisdiction, however, is still responsible for monitoring the company. Personal information form (to be completed by any person with 10% or more interest in the company). A letter from Mohawk Internet Technologies stating their willingness to host the operations of the applicant. Key person license application form. $25,000 – This fee covers the cost of the license for one year, as well as the initial investigation by the KGC. $5,000 – This fee is required for each person listed as a vital component within the company as per the key person license application. Unlike the majority of gaming jurisdictions, Kahnawake actually posts a report on the yearly complaints filed by players. This provides an insightful look at the nature of customer problems, as well as the manner in which they are resolved. The details below cover the period from January 1st to December 31st, 2013. Complaint Totals – During the year of 2013, the Kahnawake Gaming Commission received a total of 317 inquiries from players. An additional 332 pending or unresolved complaints also carried over from 2012. This resulted in a total of 649 inquiries that required the attention of the KGC. Of this number, 397 involved another jurisdiction or were not categorized as actual complaints. The final total of valid, addressable complaints in 2013 was 252. Types of Complaints – 41 of the reported issues involved a player having their account locked or closed. Another 118 concerned late payment or refusal of payment to the customer. The fairness of a specific gaming site was questioned in 37 cases, and another 56 disputes fell into the miscellaneous category. Dispute Resolution – Of the 252 addressable issues, 18 were unresolved by the end of 2013. Of the remainder, 124 were dismissed as invalid or unfounded, while the other 110 complaints were upheld in favor of the player.